A proposal for the introduction of Capital Gains Tax (CGT) and tax on commodities was approved by the Cabinet Committee on Economic Management (CEM) at a meeting last week. The measures are aimed at resolving a revenue crisis to meet the growing expenditure of the country. A pregnant woman reportedly on her way to visit an inmate at the Welikada prison was injured last evening when two gunmen on a motorbike opened fire at her just opposite the Welikada prison, Police sources said yesterday. The injured woman was admitted to the Intensive Care Unit of the Colombo National Hospital. Ten Divisional Enforcement Teams (DETs) with the backing of the Special Task Force are now operating to check the crime wave due to notorious criminals, gangsters, robbers and drug dealers, Senior DIG Western Province. A public gathering has been organized to protest against the removal of a couple from the Independence Square in Colombo today(6). A video of the incident, which was widely shared on social media, shows two security officers attempting to evict the said couple. 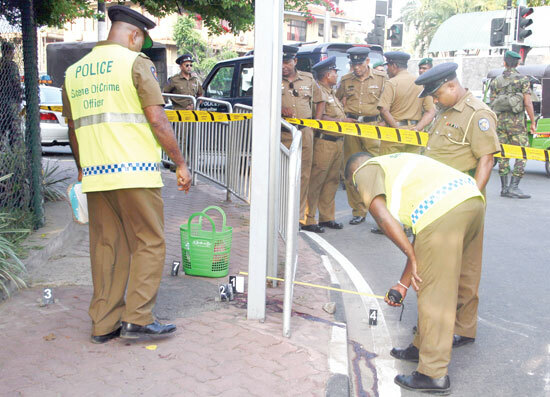 The statements to the Inspector General of Police by two eye-witnesses to the accident and the three MPs urging the police to conduct an impartial inquiry into the accident where Minister Champika Ranawaka had allegedly driven the vehicle that had injured a motorcyclist on February 28 at Rajagiriya has been referred to Senior DIG Western Province Pujith Jayasundara for further inquiry. How strong are we on women’s rights? Can good journalism outlive newspapers?